Build Lean muscle mass and torch fat in 30 minutes per day with minimal equipment! Total Body Bootcamp is a 12-week self-paced training program for the busy woman who can’t always get to a gym but still wants to look and feel great. I know how difficult it is to get out of the house and into the gym. Before I had my first son, Lincoln, I could devote 2 hours a day to the gym while training for fitness competitions. I was definitely part of the #noexcuses train (I’m literally eye rolling at my pre-baby self). Now – my world is a completely different place. Those extra hours in my day are put toward being the best mom and wife possible. But I still want to achieve my own fitness goals, feel energized, and look great. So I created this program based on everything I’ve learned through my experience as a personal trainer AND as a busy mom. 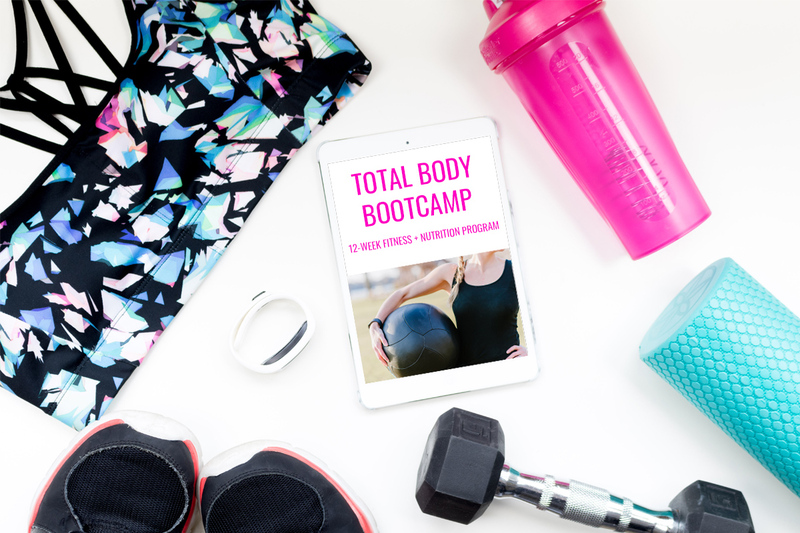 Total Body Bootcamp focuses on effectively building lean muscle mass and torching fat with minimal equipment.You can do these workouts almost anywhere, including your home! You won’t be spending hours a day with this program. Instead, plan on devoting about 30 minutes 5 days a week to your fitness regiment. Workouts will focus on high intensity interval training (HIIT) mixed with weight lifting, cardio and functional training. You will receive 12 weeks worth of fitness programing that includes a workout of the day video and movement explanation library. 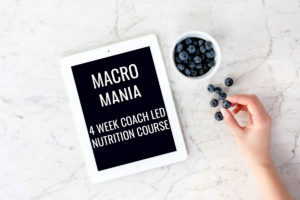 You will also receive fat loss macros, an example meal plan, portion sizes, eating schedule and supplementation guidance. Bonus #1: You’ll receive lifetime access to a supportive fitness community Facebook group. Bonus #2: Email support from me. You are able to ask me questions anytime along your journey.